Adaptability, business acumen, communication and organisational skills as just as important as qualifications in the future job market, writes ELIZABETH HENSON. Soft skills are becoming an increasingly important asset for jobseekers who want success in an ever-changing work environment, recruitment and training experts say. Constant advancements in technology mean employers are placing a higher value on soft, or foundation, skills in workers. These include communication, teamwork, resilience, creativity, critical thinking/problem solving and adaptability skills, as well as a willingness to learn. Skilling Australia Foundation chief executive officer Nicholas Wyman says research suggests that today’s school leavers will have 17 jobs across five careers in their lifetime, indicating the end of the ‘job for life’. “There is a decreasing need for traditionally required skills, particularly those at the core of low and medium-skilled jobs involving routine, repetition and manual handling, for example,” Wyman says. “These jobs are heading offshore or being automated at a great rate of knots. 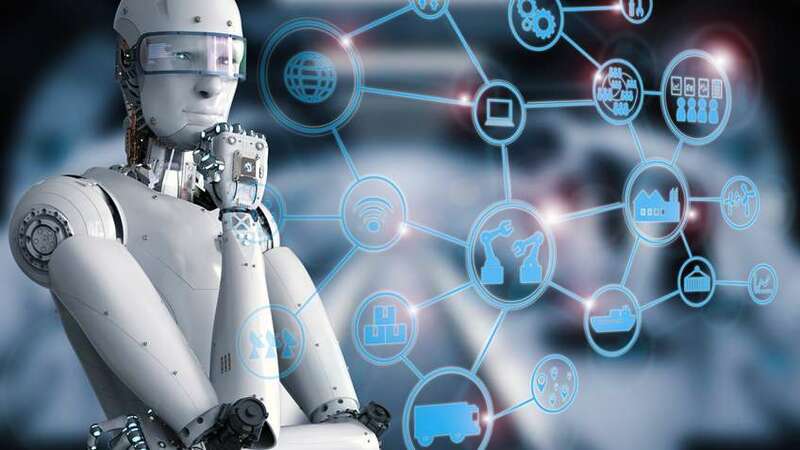 “Researchers have estimated that four out of 10 jobs in Australia will most likely be automated in the next 10-15 years. That’s where soft skills come in (as) artificial intelligence and machines can’t yet replicate these. 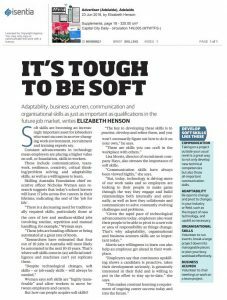 “Despite technological changes, soft skills – or job-ready skills – will always be needed.” Wyman says soft skills are “highly transferable” and allow workers to move between employers and careers. But how can people acquire soft skills? “The key to developing these skills is to practise, develop and refine them, and you won’t necessarily figure out how to do it on your own,” he says. “These are skills you can craft in the workplace with others.” Lisa Morris, director of recruitment company Hays, also stresses the importance of soft skills. “Communication skills have always been viewed highly,” she says. “But, today, technology is driving more of our work tasks and so employers are looking to their people to make gains through the way they engage and build relationships both internally and externally, as well as how they collaborate and communicate to solve constantly evolving challenges and problems. “Given the rapid pace of technological advancements today, employers also want their people to be able to pivot to a new role or area of responsibility as things change. That’s why adaptability, organisational and business acumen skills are so important today.” Morris says willingness to learn can also help an employee get ahead in their workplace. “Employers say that continuous upskilling shows a candidate is proactive, takes their development seriously, is genuinely interested in their field and is willing to put in the effort to stay up-to-date,” she says. COMMUNICATION Taking on a project outside your usual remit is a great way to not only develop new technical competencies but also those all-important communication skills. ADAPTABILITY Be open to change and pivot to changes in your industry or field, such as the impact of new technology, and upskill as necessary. ORGANISATIONAL SKILLS Volunteer to run events, break a large project down into manageable pieces or plan your busy workload effectively. BUSINESS ACUMEN Volunteer to chair meetings or work on a team project.